A new way to handle your technology needs. Boro IT has over 25 years of experience in the IT industry. We provide individualized Information Technology (IT) Consulting, Design, Support, Implementation & Maintenance to the Coastal Empire of Georgia and South Carolina, and outlying areas. Boro IT is a technology services company focusing on the unique computing, networking, and application needs of businesses across all verticals. With Boro IT you’ll receive a customized solution for your IT network, including: Computer and Network Consulting, Planning, Design, Procurement, Implementation, Maintenance, and Management. 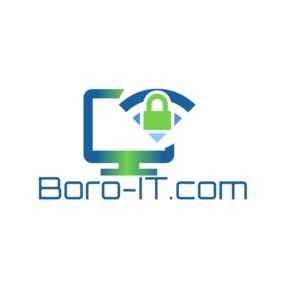 As a Boro IT client, you’ll have an expert in the area of technology consulting to oversee your systems. In addition, having Boro IT as your trusted technology partner also offers the following benefits: Decreased cost, Increased performance, Fewer expenses, No salaried employees, and No increase to your benefits costs. Whether it's eliminating the worry of IT problems, installing video surveillance for your home or business, or simple website design and maintenance; Boro IT can help you. Our services are affordable and we provide personalized support to fit your business needs. Call or email today for a free consultation.